We take pride in installing and modifying irrigation and lighting systems that make smart use of resources. We also provide landscape designs, planting services, and hardscape installs. Illuminating Landscapes is a family owned and locally operated company. We take pride in installing and modifying irrigation and lighting systems that make smart use of resources. We also provide landscape designs, planting services, and hardscape installs. On a new install we can use materials that will consume less water for your irrigation system or lower amounts of electricity for your landscape lighting system. This can not only improve the ascetics of your property, but also do it in an environmentally conscious way. Lower water usage and lower energy consumption…that is our goal! We can also take your current systems and upgrade them to an eco-friendly asset. So whether you have a ten year old system or are looking to install something brand new, we have the knowledge and experience to provide you with the best system possible. 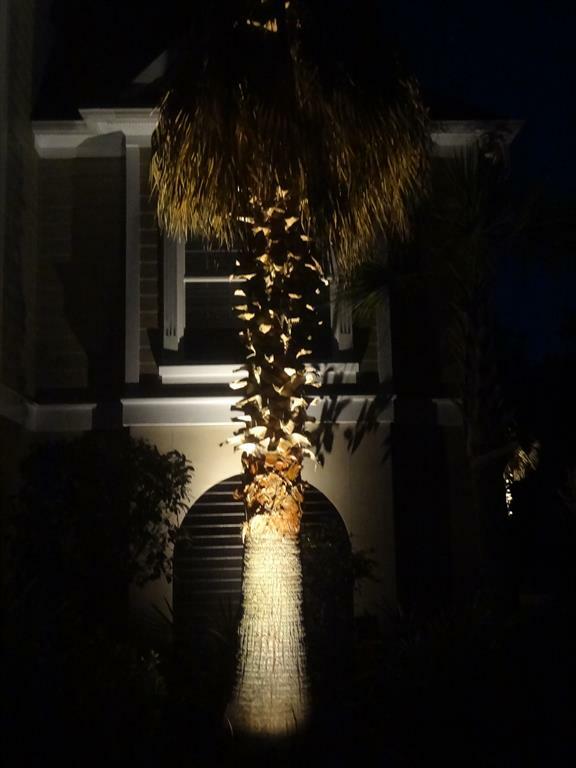 Serving the lighting and landscaping needs of homeowners and businesses in Charleston, Berkeley, Dorchester, and Colleton County!